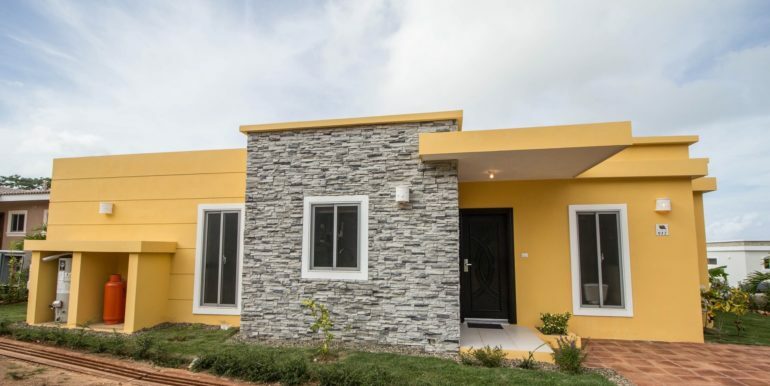 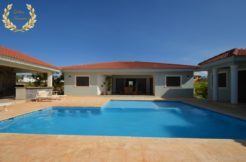 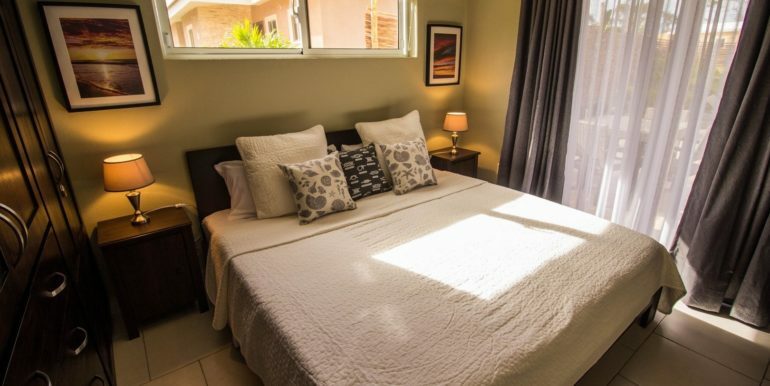 Caribbean Vacation Villa Sosua 2 Bedrooms Dominican Republic in bright yellow under a blue sky, this 2 bedroom rental feels like affordable paradise in Sosua is just a click away. 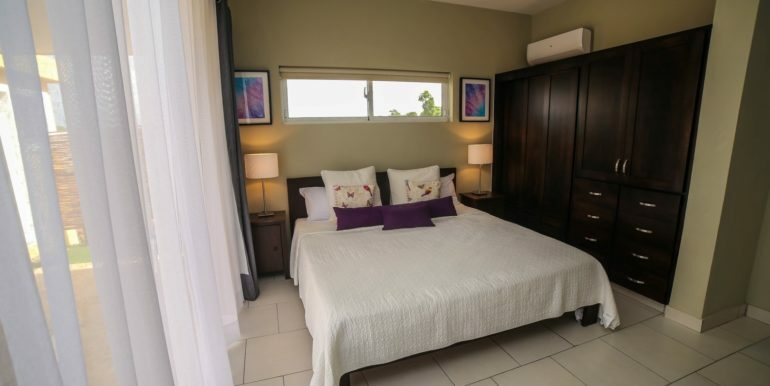 Providing essential and extra amenities to make your stay a blissful experience from start to end, it is one of the best choices we can offer for those who want the most at very competitive rates. 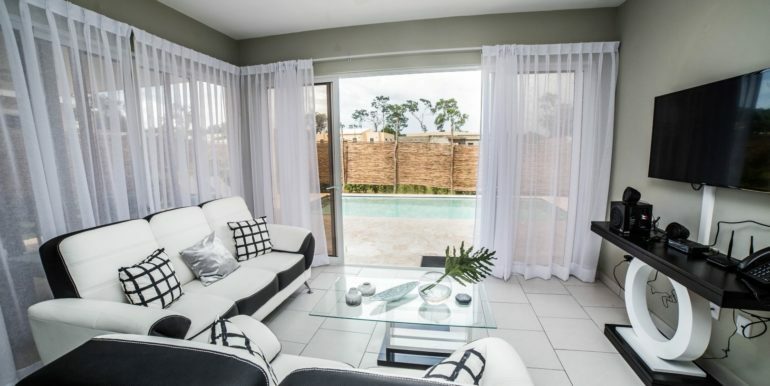 Its one-story floor plan has a smart distribution of a pool-facing living room with oversized, white sofas with black trimming; glass top coffee table and matching mantelpiece below the TV area. 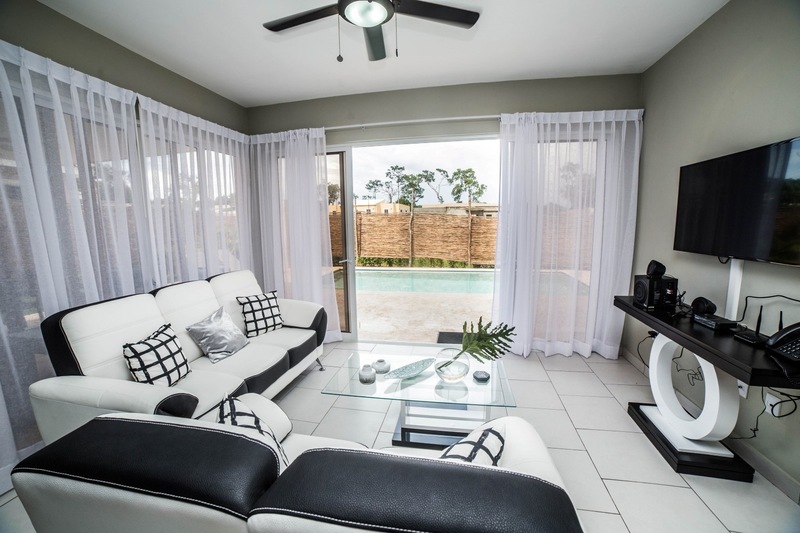 The walls in the living room are neutral beige, contrasting with the white ceiling and flooring. 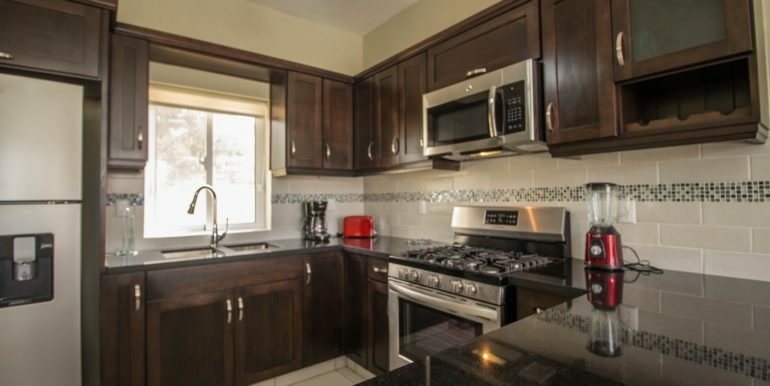 The kitchen sits conveniently on a corner, built of a beautiful burn-oak colored wood that nicely contrasts with the light olive neutral tone of the kitchen and the white stools with Inox base. 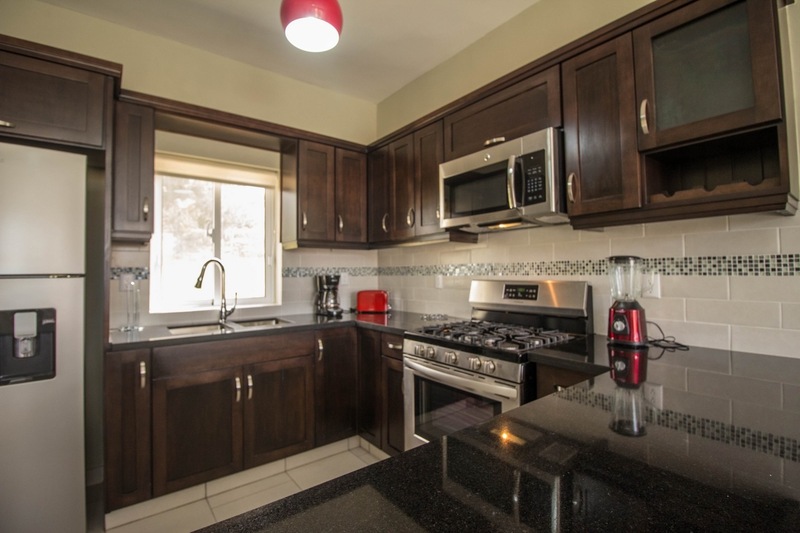 Stainless steel appliances and a touch of bright red in the overhead lamp, mixer and toaster add the special touch seen in décor magazines. 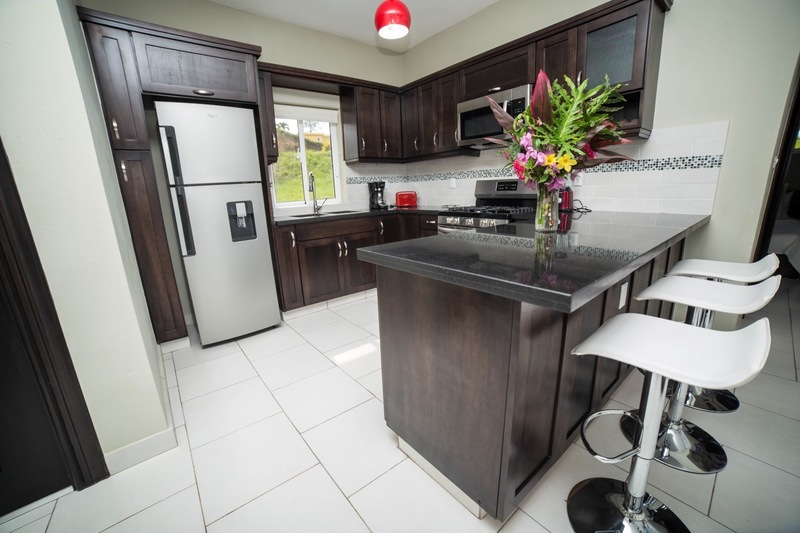 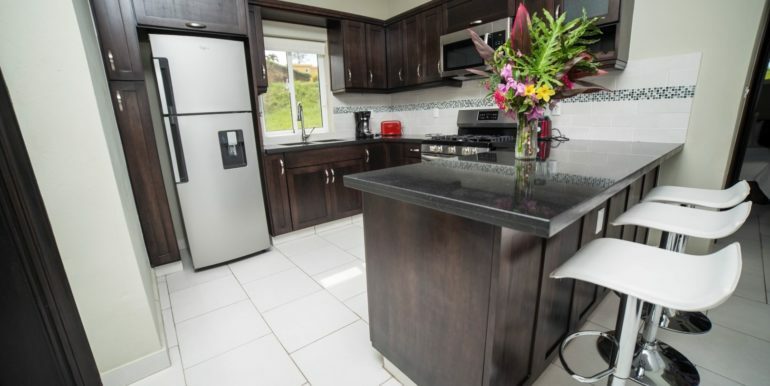 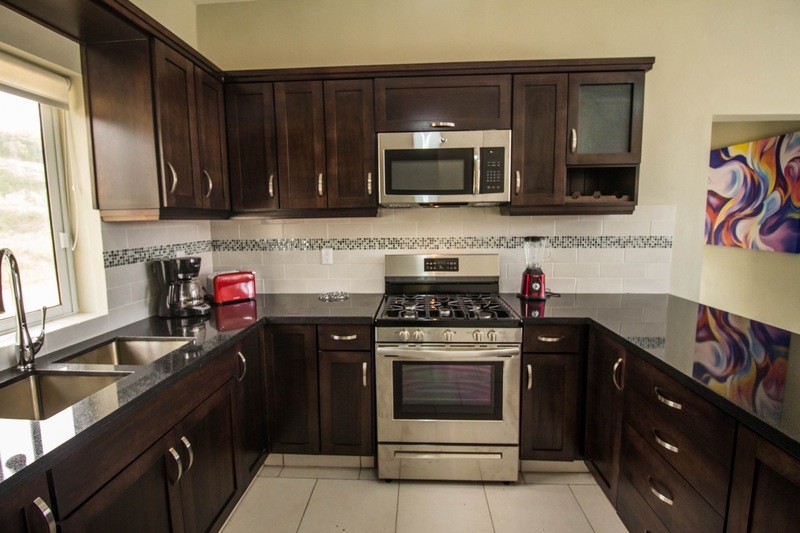 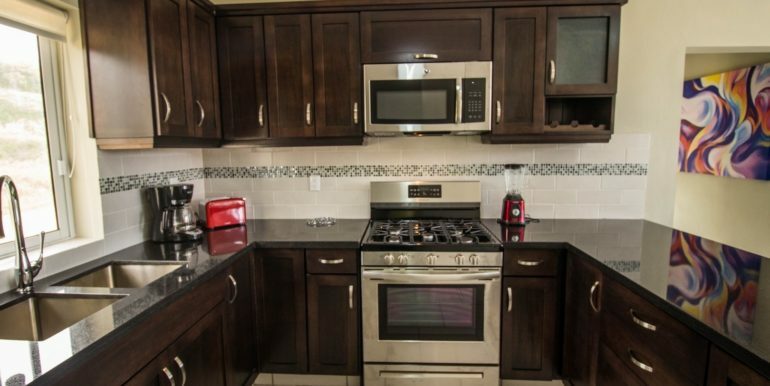 The kitchen is fully equipped to cook with utensils, gas and appliances. 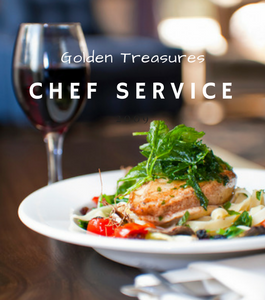 Optionally, you can order private chef service for a very pampering experience for yourself and your guests. 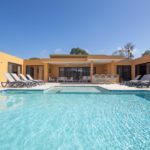 The outside of the villa is painted maize-yellow, and the windows and doors thresholds are white trimmed, very pleasant against a blue sky in Sosua. 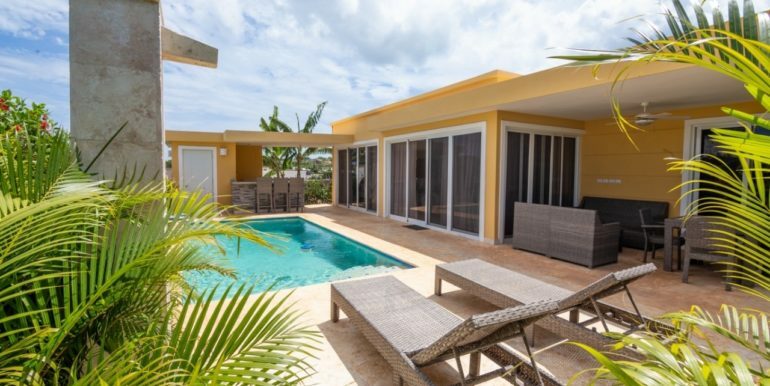 The sliding doors include curtains and blackout shades for convenience, and when rolled away, these large sliders allow views to the outside, giving the interior a sense of amplitude and pure openness. 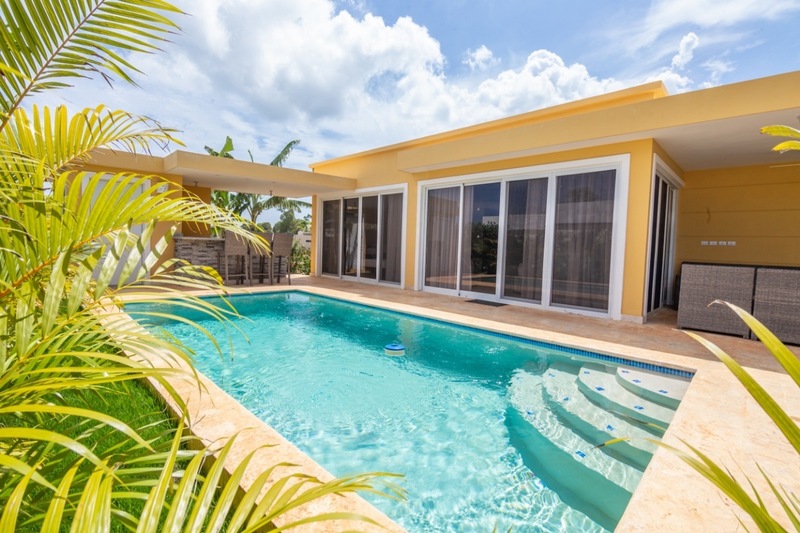 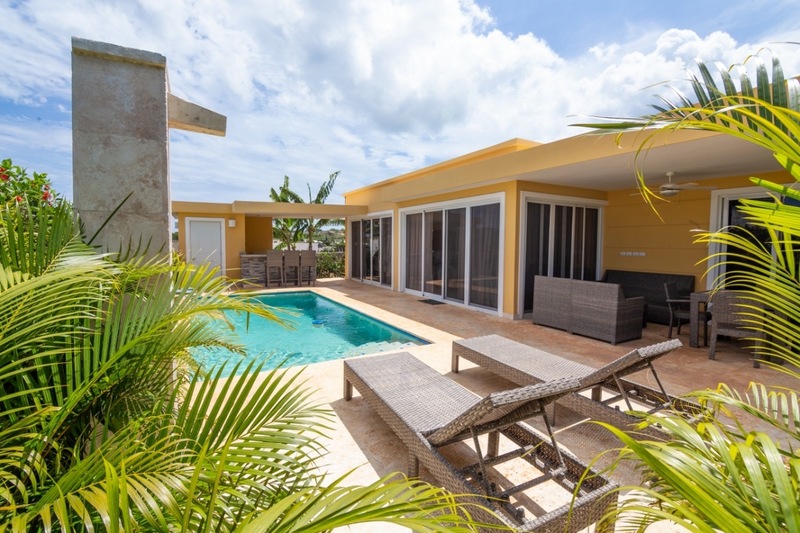 As in all other Sosua villa rentals listed in this website, this one has its own private swimming pool with coral deck and bar / BBQ area just for its guests. 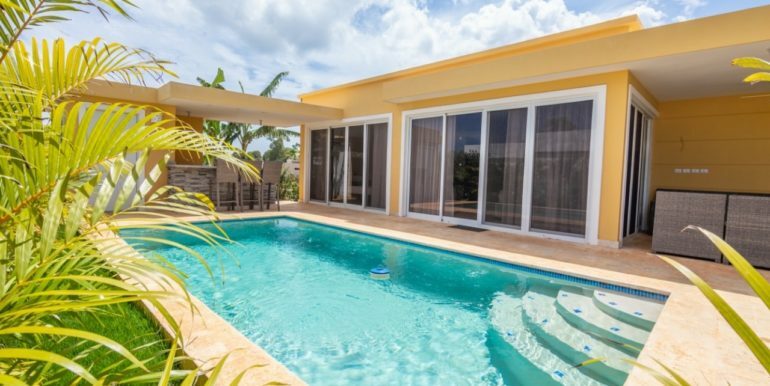 As an added bonus, the pool side has a wall of tropical palms for privacy, so guests can mingle, party and tan with zero stress. 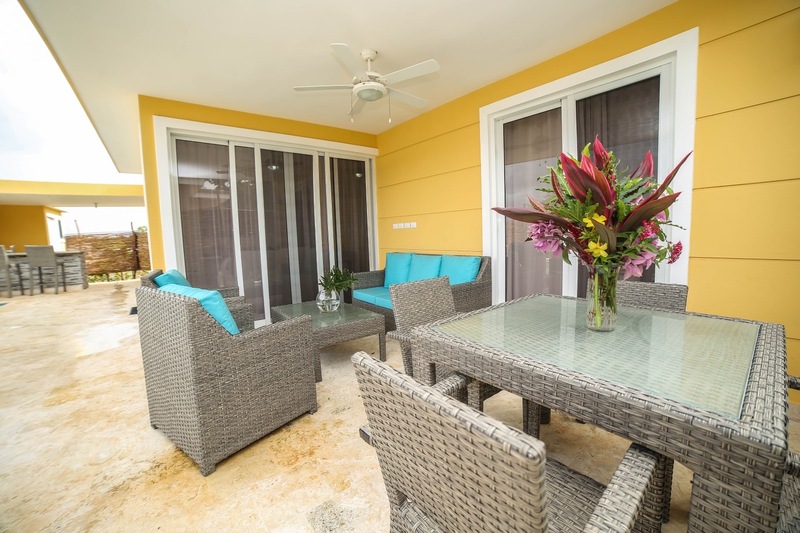 Outside, there is a covered terrace with patio furniture, a table for alfresco dining or breakfast and a set of matching sofas in gray with gorgeous celeste-colored upholstery. 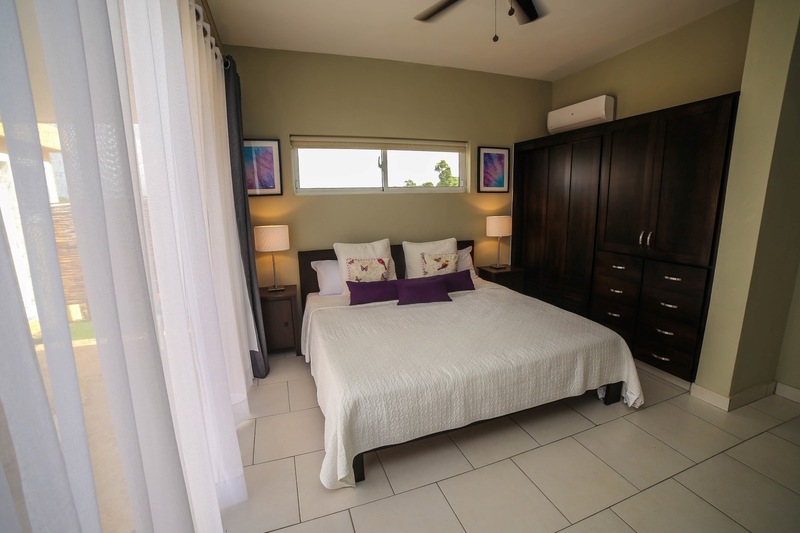 The bedrooms are very well appointed with the same color palette as the rest of the villa, large beds with white covers and essentials such as A/C, ceiling fans and side lamps. 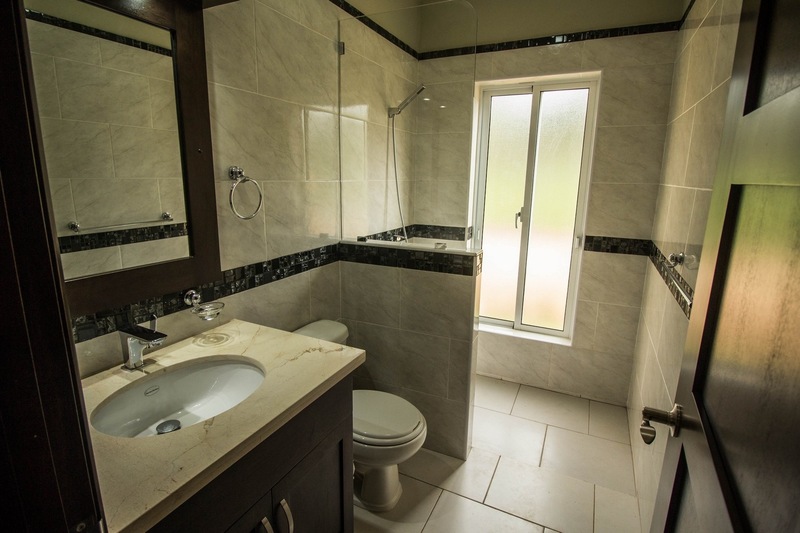 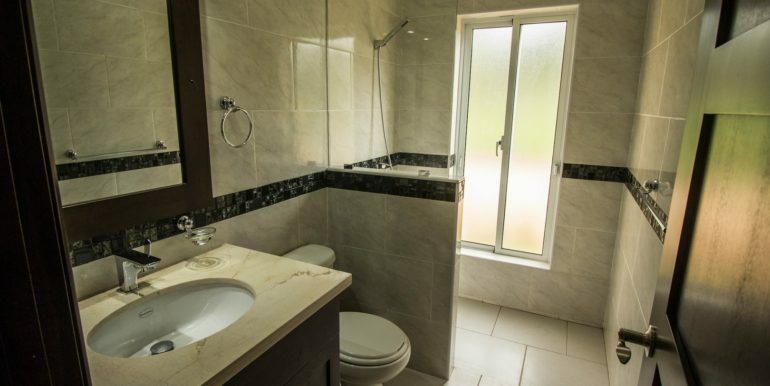 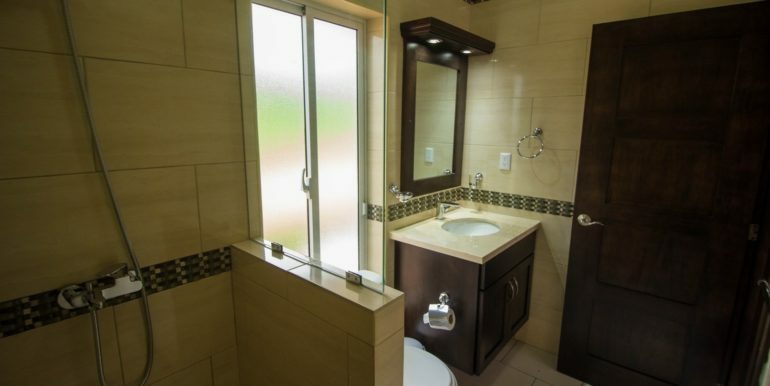 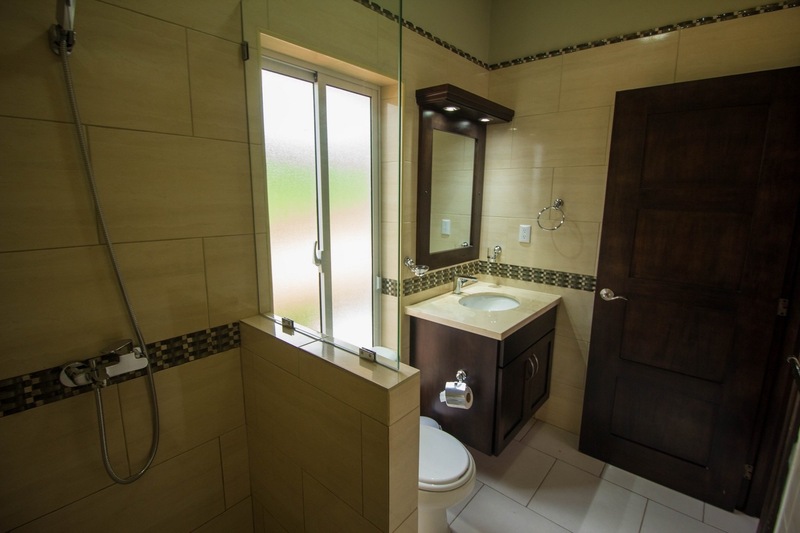 Each bedroom has its own bathroom built with elegance and fine fixtures, including fine ceramics with trim finish. 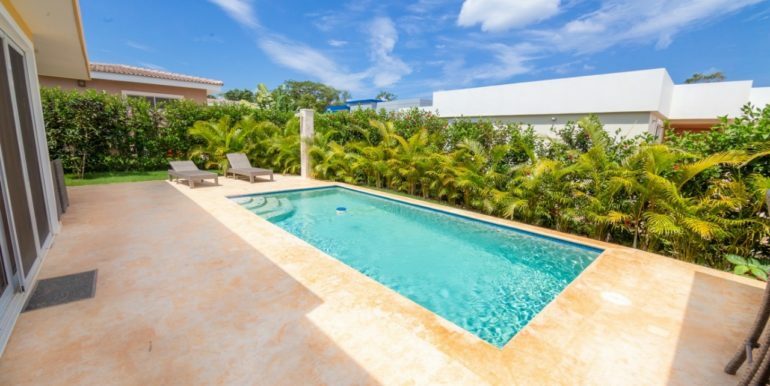 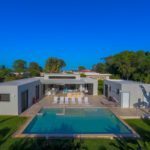 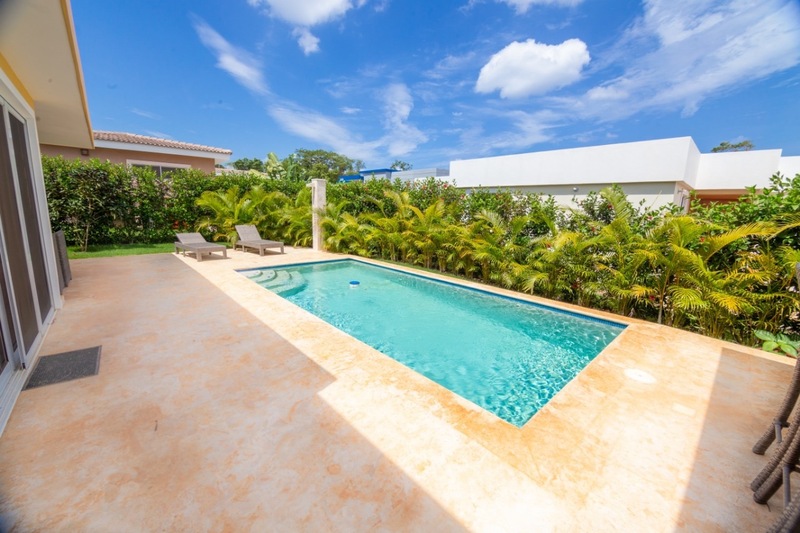 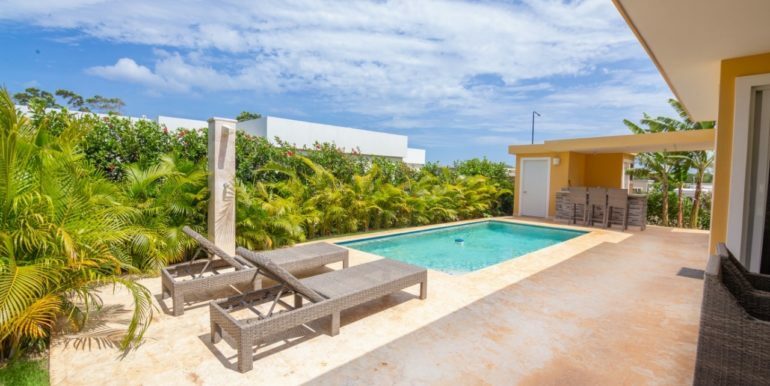 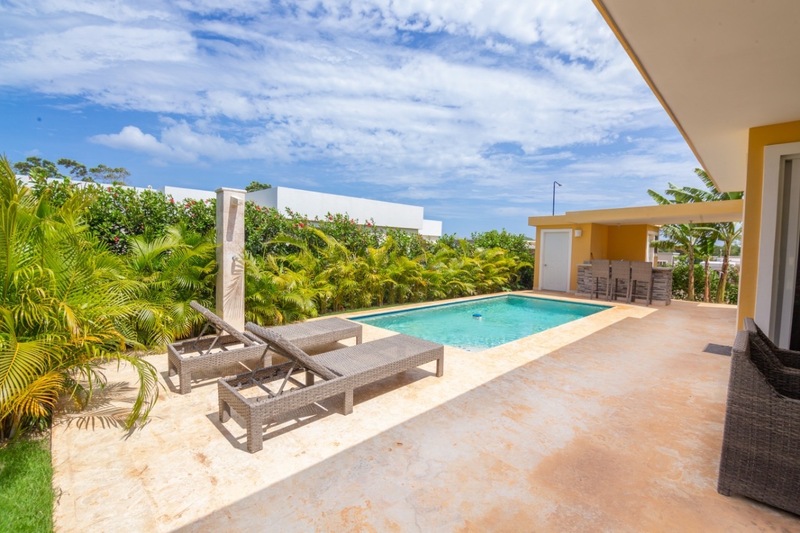 The villa sits on a private gated community just 5 minutes from the heart of El Batey, the main shopping and entertainment district in Sosua. 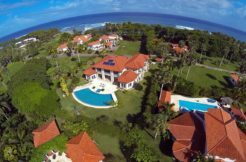 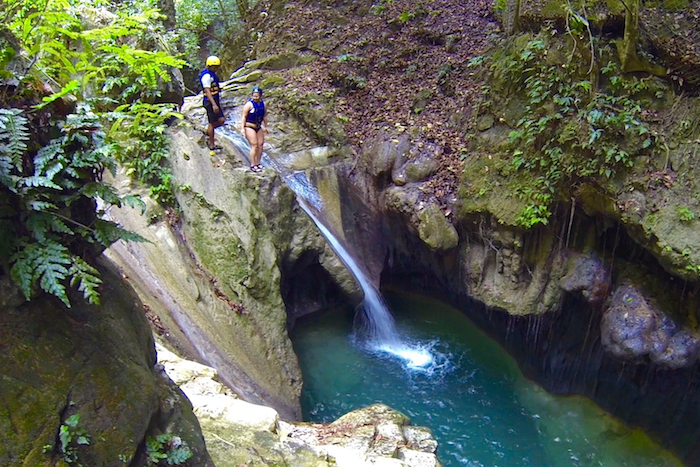 Sosua Beach and Cabarete are the same distance by car, and concierge services can arrange tours such as ATVs, sports fishing, diving, snorkeling, and many more. 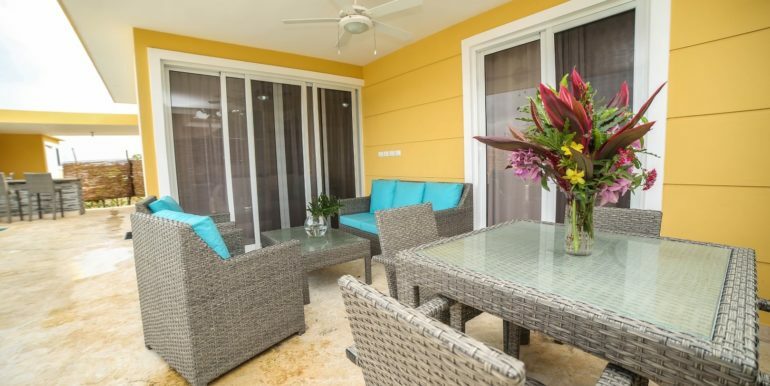 The rental includes maid service, cable TV, Wifi, security and concierge. 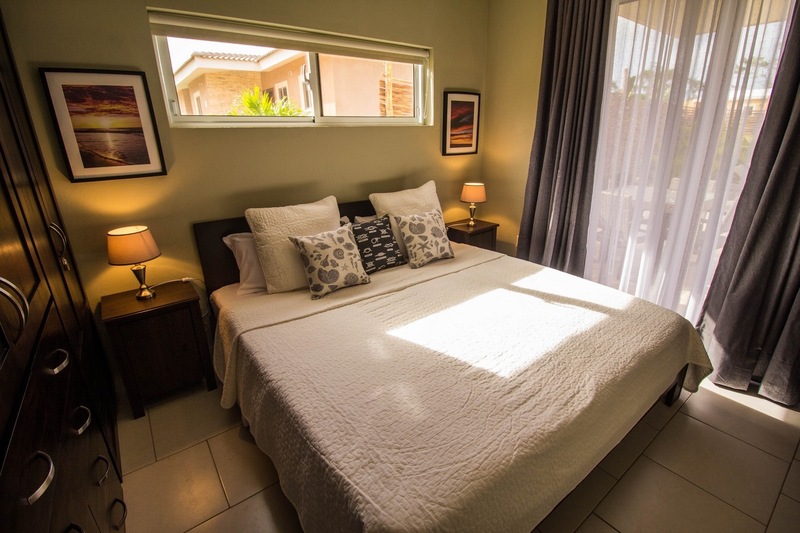 Please see attached rental terms in pdf. 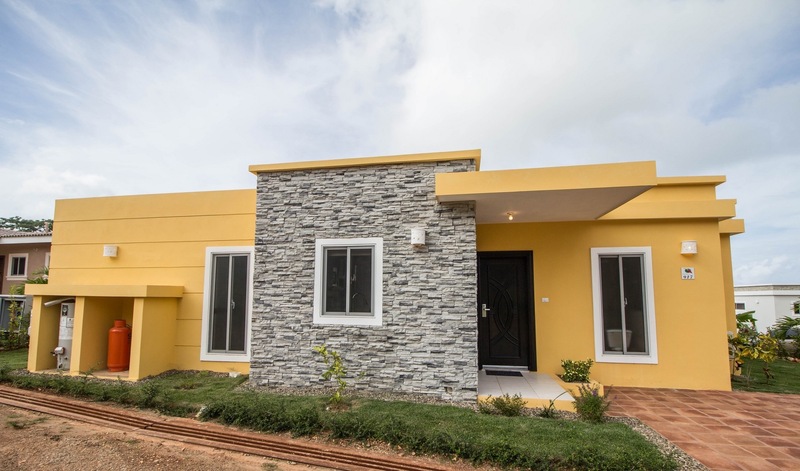 Property Villa Ref #spc1565-917.